The Brooklyn Microgrid is a small-scale energy system whereby households can trade their excess renewable energy capacity with their neighbours using a secure blockchain platform. The Brooklyn Microgrid is a prototype for peer-to-peer energy exchange systems, launched by LO3, Consensys, and Siemens in 2016. Energy is generated from individually owned household renewable energy systems such as rooftop solar, and connected to the microgrid using existing energy transmission infrastructure. The grid is fitted with LO3’s TransActive Grid technology, which measures the production and consumption of energy within the system, and filters this data to the trading platform. Participants in the microgrid have access to a platform developed by LO3 called Exergy, which facilitates peer-to-peer transactions between participants using blockchain technology and smart contracts. Incorporating smart contracts and blockchain technology creates a secure and automated process that cuts costs for users and removes the need for energy suppliers or transmission companies. What’s more, decentralised grids are more resilient in emergency situations like natural disasters, because the energy is generated, stored and consumed within a small geographical area. Instead of selling surplus energy back to the grid, direct transactions between prosumers (energy producers and consumers) helps to remove intermediaries and reduce the price for those involved. As distributed renewable energy generation grows, so does the challenge of successful integration of this variable energy source into the current centralised energy system. By trading energy peer-to-peer in microgrid energy markets, prosumers can keep profits from energy trading within their community, providing incentives for investments in renewable generation plants and for locally balancing supply and demand. Although still in early stages, microgrids hold promise to create greater access to affordable renewable energy for communities. Decentralisation through blockchain could also enhance the reliability and security of energy access. With regulatory intervention, blockchain-integrated microgrids could help to upgrade infrastructure and retrofit the energy industry so it is fit for use with a high proportion of variable and renewable energy generation. Consensys is a Brooklyn-based blockchain technology company, founded in 2014. LO3 was founded in 2012 in Brooklyn. They build tools and develop projects to accelerate the creation of a renewable energy sharing economy. Siemens is a German industrial manufacturing conglomerate specialising in energy, infrastructure, industry, healthcare and cities. 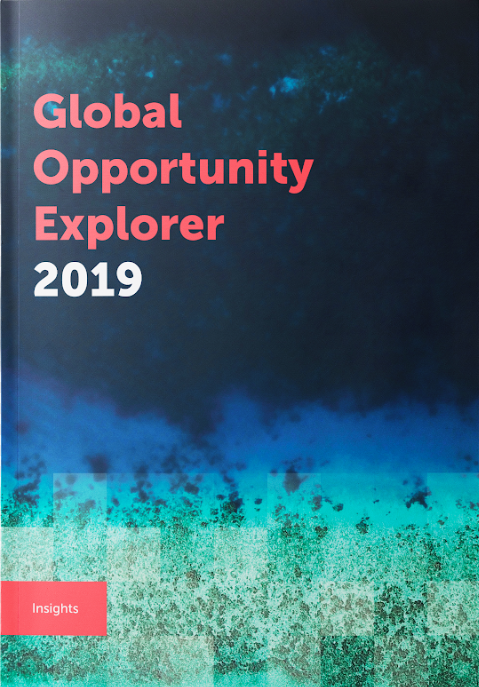 The Global Opportunity Report 2018 is out!